By offering a wide range of services to maintain the beauty and functionality of your lawn and property, we work hard to get the results you deserve. After all, our philosophy is that there is no off season when it comes to maintaining The Lawn Salon your investment. The Lawn Salon is standing by to help you with any and all issues, 12 months out of the year. Call us at (207) 646-7406 to schedule a consultation appointment. 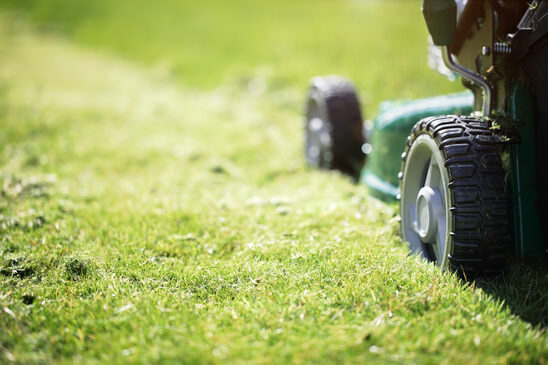 Mowing: Our professional mowing services can help keep your lawn looking its best, no matter what type of grass you have or what your topography. 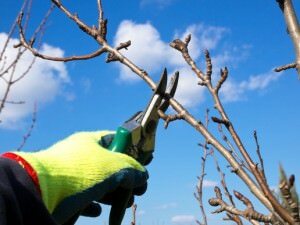 Pruning: Selective pruning helps your flowering and fruit trees to produce the best they can. Our experienced team can get the job done effectively and efficiently. 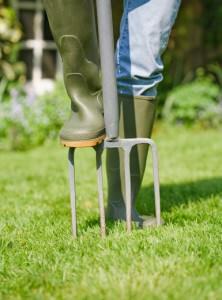 Lawn Aeration: Lawn aeration helps to stimulate root growth and allows nutrients and water to penetrate the soil. There are different tools we can use depending on your situation, and we can often do aerations any time of year except for the height of summer and winter. 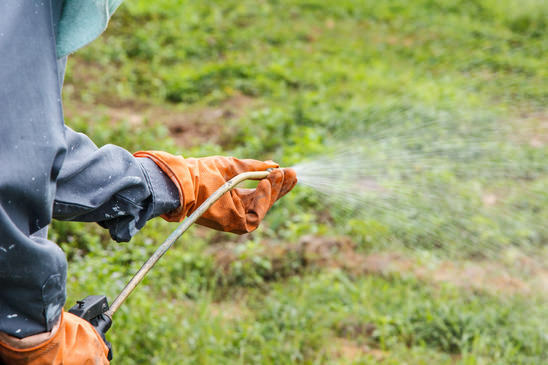 Weed Control: Weed control is a form of pest control which helps your lawn and plants grow without having to compete with unwanted and invasive varieties of plants. Many strategies are used to control weeds, including manual removal, herbicides, coverings, tilling, and biological pesticides. Grub Control & Insect Management: Grubs and other insects can wreck havoc on your lawn by feeding on the roots of your grass and eating your plants’ leaves. A variety of natural and chemical pest control methods are effective for this problem. Tree Care: The care of trees is an important part of keeping your property safe and looking good. Our services include cabling and bracing, storm damage control, pruning, and insect and disease management. Flower Bed Upkeep: Flowers make every yard look special, but flower beds require a certain amount of upkeep. We can help maintain your flower garden by deadheading, disbudding, nipping and tucking and weeding. Leaf Blowing & Raking: Leaves can kill grass, so it’s important to remove them from your lawn. We can save you time and back breaking work with our professional raking and blowing services, and can even turn the leaves into mulch for your lawn. Spring & Fall Cleanup: Leaves, branches, and other debris build up in the fall. Over the winter, these will also accumulate and show up as the snow melts. We can help you clean up your yard before and after the winter season to keep your lawn plush and healthy. Mulch & Topsoil: Mulch is organic material that makes a soft walking path and can help supress weeds and retain moisture. Topsoil is the dark, nutrient-rich soil that is best for planting. We can provide and install both of these materials to landscape your property. Patios & Retaining Walls: Patios are a wonderful place to spend summer evenings, and retaining walls can help level a hilly yard and prevent erosion. Our experienced professionals can design and build yours. Stone & Gravel: Stone and gravel serve a variety of purposes, including improving drainage and making a stable foot path or patio. We have a large selection of stone and gravel at our disposal with which to lend a decorative element to your project. Snow & Ice Removal: Snow and ice removal is serious business when it comes to staying safe in the winter. We can clear your driveway and roof to allow for safer travel and structural security for your roofs and awnings. Mosquito & Tick Control: Mosquitos and ticks harbor diseases that affect your family and pets. We can work to eliminate this problem by using effective chemical-based insect repellants and making your yard less hospitable to these pests by removing leaves and debris. Fertilization: Fertilizing your lawn helps to provide vital nutrients that keep it looking lush and green all season. Our team will expertly apply appropriate fertilizers to help keep your lawn looking its best. Sand Clean-up: Road safety in the winter means lots of sand and salt on the roads. This sand can accumulate on your lawn and be difficult to remove without professional equipment. We can clean it up in no time. 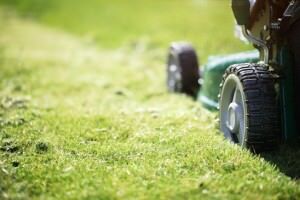 Lawn Installation: Need help getting your lawn started, or just want to fill up some bare patches? We can put in lawn for you either by seed or by sod and get your yard looking great fast. Ornamental Tree Treatments: Specialized fertilizers, insecticides and horticultural oil can help protect your ornamental trees and encourage them to grow. Pruning and shaping can help your ornamentals to produce and look their best. Our staff is proud to say that many of our clients are referrals and repeat customers. For over two decades, the Lawn Salon has built a reputation for taking care of your lawn as if it were our own. Our services deliver the results you want while saving you time and money. Try us out!